End of July 2007, Geneva: Cave12 is homeless, as are the inhabitants of the squats Rhino and La Tour ! 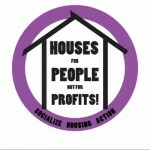 100 people are deprived of their home; three concert venues, one alternative restaurant which was used for debates and meetings, and a day nursery have disappeared within ten days; the squatters are percieved as profit-makers and criminals; the right of private property has become a justification for everything – This is the current situation in Geneva. Dear friends, who in a way or another have been linked to one of these collective and autonomous spaces – now a rare and endangered species in Geneva’s wildlife. We ask for your participation in this very simple action. We cannot remain silent observers of the ongoing eradication of Geneva’s alternative culture. 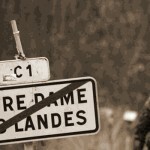 On Tuesday morning at 10:00, the police invaded “LA TOUR“ under the pretext of carrying out an identity control! This, so called, identity verification was followed by the arrival of a bailif who preceeded to proclaim that the house was abandoned (the inhabitants being held at the police station). RHINO (Restons les Habitants des Immeubles que Nous Occupons – lets stay in the house we live in), an alternative and emblematic Genevan squat is threatened by eviction after 14 years of resistance against the Capital. In order to continue, the “contract of trust” with the Genevan authorities needs the support of public opinion. What is the public opinion? It can be you, me, everybody who dares to think different, people who dare to take side roads instead of the highway of capitalist thinking. Action ! Come and convince yourself on our webside www.wild.ch/rhino <http://www.wild.ch/rhino>,send solidarity letters to rhino [at] freesurf [dot] ch, sign our petition on our website. In the night of Feb.04.00, 1 year after the evacuation of Guillame-Tell after two month occupation (Commercial Building belonging to Credit Suisse), a gathering took place. The Purpose, condem the 300 000 m2 of Commercial Space left empty in Geneva, Guillame-Tell is still unused…At the same time Alesia (Squat 300m from U.N.) was about to be evicted to make Space for the Multinational ABB (income 2,66 Billion Sfr. for 1999) new Administrative Building.